Now that my initial triumphalism over Putin’s return has faded a bit, it’s time for a more analytical look. One of the main reasons I thought Medvedev would be the more likely person to be United Russia’s Presidential candidate is that Putin was simply unwilling to return. As Daniel Treisman wrote in his book on post-Soviet Russia, “Once President, Putin very often looked like he would rather be somewhere else… I have never seen Putin look as happy as he did on election night 2008, when [he appeared] to congratulate Medvedev on his victory.” Not a description of someone who longs for power for its own sake, when considering that he was relinquishing the top position that he could have easily (and legally!) 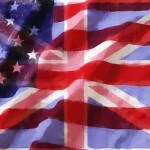 kept by simply amending the Constitution to allow more consecutive terms. 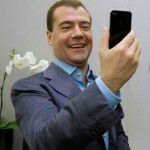 Combined with Medvedev’s steadily high approval ratings, just a permanent whiff short of Putin’s according to the opinion polls, and the negative PR repercussions (at least abroad) of this move, I still don’t think that my original logic for arguing for Medvedev’s staying on was all that faulty. But didn’t both Medvedev and Putin both refute that, saying everything had already been decided years in advance? Well, no. Contrary to the Western media coverage, that didn’t necessarily follow from their words. What Medvedev said was: “We really did discuss this variant of development back in that period, when we first formed our gentlemanly agreement” (мы действительно обсуждали этот вариант развития событий еще в тот период, когда сформировался наш товарищеский союз). What Putin said was: “I want to say it straight, that the agreement about what to do, what to work on in the future, we already made a long time ago, several years back” (хочу прямо сказать, что договоренность о том, что делать, чем заниматься в будущем, между нами давно достигнута, уже несколько лет назад). But it is far from evident that what they meant by this was that they had decided on specifically Putin’s return long ago and just took the country on a wild goose chase in the intervening years of Medvedev’s Presidency. They merely said that the plan of action was decided long ago, but nobody actually said anything about specific personalities – any (i.e. most) reporting that referred to the “reshuffle” or “Putin’s return” as the object of those was misleading, since it could just have easily being something along the lines of “let the most popular man stand for President in 2012.” For all we know the Plan could have just been something along the lines of: “Let the most popular and authoritative man stand for President in 2012.” So those pundits who took their decision as an implicit condemnation of Russian democratic culture – that everything was decided years ago and the rest were all just for show, such as Medvedev’s earlier comments about not being averse to running for the Presidency – do not have the incontrovertible evidence that they think they do. This is why accurate translations and paying attention to the specifics of what is being said is actually very important. In short, I think that it was a more close-run thing than many analysts now claim it to be, for in hindsight all things acquire the tinge of inevitability. Why, in the end, was this course chosen? After all, while many of the criticisms leveled against Putin’s return, e.g. that it would shock investors* into fleeing, were clearly fallacious – the announcement had zero discernible effect on Russia’s stockmarkets – it is still undeniable that one has great power: the concept that leaders have a best before date and Putin now risks overstaying it. 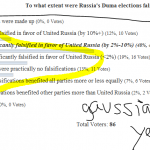 Ultimately, it boils down to Russia being a plebiscitary regime that tries to pay the utmost attention to opinion polls. And on this metric, Putin is unquestionably ahead. 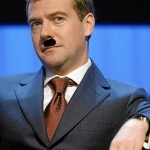 As of September 2011, according to Levada Putin has an approval rating of 37% to Medvedev’s 26%. But even this understates Putin’s popularity. In a recent Levada poll that asked whom Russians would vote for if the elections were held this weekend, Putin got 42%, whereas Medvedev got just 6%, lagging both Zyuganov at 10% and Zhirinovsky at 9%. When forced to choose between the two, most Russians overwhelmingly support Putin. Now obviously if Putin wasn’t running, most of his votes would have gone to Medvedev anyway, but the margin of victory would have been smaller and turnout would have been lower due to the lower numbers of genuine Medvedev fans. Consequently, the next administration’s legitimacy to make reforms promoted by liberal technocrats would have been lower. You can’t ascribe Putin’s popularity to more TV coverage either, as some have tried to do such as A Good Treaty. According to the guys who actually keep the statistics, Medvedev has been consistently getting more coverage on federal TV media than Putin. It’s just that it’s far easier to be a fan of professional badass Putin – despite his antics becoming lamer of late – than of an iPhone President who manages to get owned by someone as PR-challenged as Bat’ka. Another refrain I’ve heard is that the polls don’t matter anyway, because the Kremlin will just rig the elections anyway. The cognitive dissonance is hard to fully comprehend. If we accept their claim that the Kremlin does rig elections – despite there being strong evidence against it, as election results correlate closely to opinion polls and exit polls – then how does that square with their support for Medvedev on account of his supposed liberal credentials? Isn’t liberalism and vote rigging mutually exclusive? One final point has to do with the outlining of Putin’s vision for Russian foreign policy, which seems to have decisively shifted towards Eurasian integration. This reminds one of another Putin interview more than ten years ago, in the months before Putin became President for the first time, which allows us to see a clear intersection between Putin’s long-term vision and the role of more recent contingencies: “We will strive to remain in [Europe], where we are geographically and spiritually located. 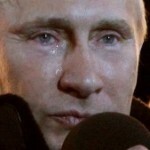 But if we are going to get pushed out of it, we will be spurred into seeking alliances, and strengthening ourselves” (мы будем стремиться оставаться там, где мы географически и духовно находимся. А если нас будут оттуда выталкивать, то мы будем вынуждены искать союзы, укрепляться). Despite being at the brink of fiscal collapse along its peripheries, very little has changed in European attitudes to Russia. One clear and recent demonstration of the failure of the Reset – a policy associated with Medvedev, let it be reminded – is Sarkozy’s recent visit to Georgia, where he unreservedly supported Tbilisi’s position on the Russian “occupation” of Abkhazia and North Ossetia. The information war continues, albeit on a more playing field – it is good to see Russia finally learning the lessons of soft power, with RT providing good coverage of social protest movements such as Occupy Wall Street and repression in Western countries that had previously gone unnoticed in their “free” medias. The way ahead has become more clear. Eurasian integration and closer relations with the rising Powers of the world, as opposed to the waning West – it is telling that Putin’s first visit post-United Russia congress will be to China – now makes patent sense from every perspective, and it is just as well that it is going to be spearheaded by the man with the higher approval ratings and a more authentic connection to popular Russian sentiment than the current Presidential incumbent.